Everything you have ever secretly thought about dating, romance, marriage, lovers, husbands, wives and in-laws — but were afraid to admit! 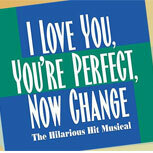 This perfect relationship musical ran for more than 5,000 performances Off-Broadway and has kept audiences laughing from London’s West End to Beijing, China. Jean is preparing a birthday dinner for her husband who is late coming home. Good friends Betty and Vic are expected any minute. When he does arrive, Henry is a changed man. Much to Jean's dismay, he wants to emigrate to Barcelona, the reason being that he has mistakenly picked up the wrong brief case which is stuffed with bundles of fifty pound notes. If getting the money was easy, keeping it proves harder, as not one but two police Inspectors call and Henry, Betty and a bemused (and tipsy) Jean are forced into a frantic game of cat and mouse! Will they manage to hang on to the money? The cabby, cheeky Bill has the answer! 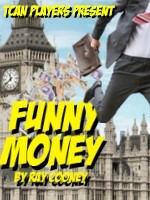 This brilliant farce by Ray Cooney enjoyed a spectacular run at the Playhouse Theatre, London. Catherine is a troubled young woman who has spent years caring for her brilliant but mentally ill father, a famous mathematician. Now she must deal with her own volatile emotions, the arrival of her estranged sister, and the attentions of a former student of her father who hopes to find valuable work in the 103 notebooks that her father left behind. 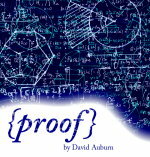 On the eve of her twenty-fifth birthday and over the long weekend that follows, a burgeoning romance and the discovery of a mysterious notebook that may contain the solution to a centuries-old proof draw Catherine to one key question: How much of her father's madness-or genius-will she inherit?